Writer's Digest Books, 9781582975061, 265pp. We've all read them: novels by our favorite authors that disappoint. Uninspired and lifeless, we wonder what happened. Was the author in a hurry? Did she have a bad year? Has he lost interest altogether? Something similar is true of a great many unpublished manuscripts. They are okay stories that never take flight. They don't grip the imagination, let alone the heart. They merit only a shrug and a polite dismissal by agents and editors. Techniques for capturing a special time and place, creating characters whose lives matter, nailing multiple-impact plot turns, making the supernatural real, infusing issues into fiction, and more. Story-enriching exercises at the end of every chapter to show you how to apply the practical tools just covered to your own work. Rich examples drawn from contemporary novels as diverse as The Lake House, Water for Elephants, and Jennifer Government to illustrate how various techniques work in actual stories. 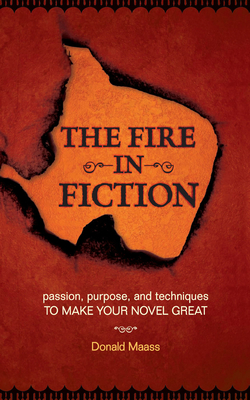 Plus, Maass introduces an original technique that any novelist can use any time, in any scene, in any novel, even on the most uninspired day...to take the most powerful experiences from your personal life and turn those experiences directly into powerful fiction.